We have all been there. When all we have to do is to repeat the same tedious computer tasks over and over again until the job is complete, but don’t want to because we feel like our capabilities are being wasted. Wouldn’t it be convenient if we could find someone (or ‘something’) else to do the repetitive tasks while we can focus our workforce on something more important and worthy? Until the last decade, these digital chores were seen as a burden that had to be undertaken so that the job could be done. There weren’t many ways of avoiding these barriers. They just had to be done in order for things to work. But with the ever-increasing demand in low-priced workforce, time conservation and ease of economic growth, there is a new chapter of technology slowly creeping into some if not many industries worldwide. 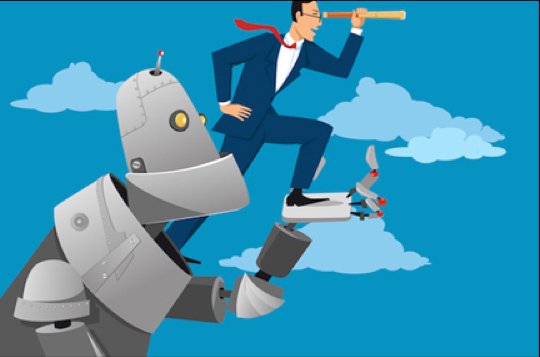 This new technology is called RPA, an acronym for Robotic Process Automation. RPA is a technology that allows users to configure computer software, or “robots” to emulate and integrate the actions of humans interacting within digital systems to implement a business process. Nowadays customer experience is integral to the success of a business model, be it related to agriculture or finance. By securing sound interactions between a customer and an organization throughout their business relationship, work quality and revenue can be highly boosted. An interaction can include several factors such as awareness, discovery, cultivation, advocacy, purchases and service. Good customer experience is an irreplaceable part of a company’s success: it’s important because a customer who has a positive experience with a business is more likely to become a regular and royal customer. RPA system provides workspaces with improved overall efficiency and accuracy, reduced human-errors and reduced time consumption which will enable the quality of customer experience to increase significantly. A customer who can access what he wants without much hassle on both ends translates to a satisfied customer. The flexible and adaptable nature of RPA systems allow for the implementation of RPA techniques in a fluid and straight-forward fashion. Improvements can be made without a radical system transformation thanks to the design decisions that RPA manufacturers have taken. Artificial intelligence based systems also provide ease of maintenance due to their simple operational principles. Many prominent and careful businesses work on tight margins. As a result, business owners are always looking for ways to reduce their operating costs without sacrificing the quality of their offering or making the lives of their employees more difficult. The premise is that the more you can reduce maintenance and unnecessary duty costs, the more money you’ll have available for new project development or new initiatives that service the entire enterprise. Operational costs could be decreased potentially by reducing the workload required to complete a task and also increasing work efficiency, which is exactly where RPA comes into play. Smart automation algorithms perform chores automatically while optimizing which actions to take. This means performing the same job with less resources. Robots also eliminate the need for a huge number of employees as employees can focus their attention to the jobs in which they’re needed instead of constantly doing footwork. This translates to both an increase to employee paychecks, decrease of the number of employees necessary for the corporate body to function and an increased output. The financial power of your company can now be dedicated to the areas where it is actually needed. Employee satisfaction or job satisfaction is, quite simply, how content or satisfied employees are with their jobs. Employee attitudes typically reflect the moral of the company. In areas of customer service and sales, happy employees are extremely important because they represent the company to the public. Factors that influence employee satisfaction include compensation, workload, perceptions of management, flexibility, teamwork, resources, etc. These things are all important to companies who want to keep their employees happy and reduce turnover. Having your employees do the redundant chores may not be the best of approaches when it comes to making them feel themselves vital and productive. RPA removes many if not all of the more mundane and repetitive tasks, rendering human involvement necessary in such routines minimal, so that your employees can actually use their expertise and abilities where it matters and where they feel content. RPA also helps your employees’ well-being by reducing your company’s expenses making it easier for you to consider giving them a pay rise if they deserve it and fund their projects and ideas more easily, without worrying if your company will lose money in the process. Human error is a mistake made by a person that results in an unfavourable outcome. Humans are not created perfect and can easily be distracted. It is in the nature of humans to misjudge and make errors. Human error can be very difficult to manage as people can do unexpected things, which means that the failure types are unpredictable. Workplace activity is normal human endeavour in which errors and mistakes can occur. Human factors; the limitations of the human mind and body, are the main reasons behind human error. All of us are affected by human factors in diverse ways when doing our jobs and throughout our lives. This is where RPA comes into play. Counterproductive human interventions, that can easily be prevented, can be responsible for the unintended errors or delays. RPA systems solve these issues by taking the human-factor out of the equation by substituting robots that can eliminate problems like these with ease. A robot does only what it’s told and nothing more. Robots can’t lose their attention and are always predictable. This allows them to correct errors more easily and be robust, while also maintaining their flexibility thanks to being reprogrammable. 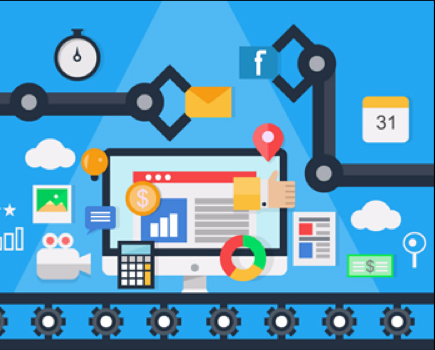 Ultimately, it is up to you whether you will utilize RPA in your business or not, but it is safe to say that the world will be seeing a lot more RPA in the imminent future.